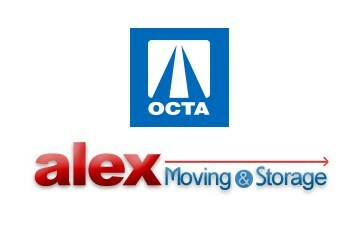 Alex Moving & Storage is proud to add yet another Orange County storage service to our already lengthy list. In partnership with the Orange County Transportation Authority, we are now home to the OCTA Lost & Found! With 50,000 square feet of dedicated storage space in our Orange County storage facility, we now house items transit passengers have left behind on the bus or train. We understand how frustrating it can be to step off your morning commute, with the realization that you’ve forgotten something valuable on the bus that is now pulling away from your stop. That’s why our team has partnered with the OCTA to assist those looking to retrieve their items, reuniting thankful customers with their belongings. In our secure, Orange County storage warehouse, we ensure that lost items will remain safe while their owners come looking for them. Our friendly staff welcomes Orange County residents to stop by our warehouse in Anaheim to identify their lost valuables and bring them home. Perhaps the lost items were essential and have already been replaced or they otherwise will not be retrieved. So many items that we take for granted every day may be much more valuable to the less fortunate. If Lost & Found items haven’t been claimed after 60 days, we promise to put them to good use. Having always had a passion for giving back to the community, Alex Moving & Storage plans to donate all unclaimed items to local charities, helping those in need. In addition to being the new home to the OCTA Lost & Found, we continue to offer our many Orange County storage services to local residents. For decades, our dedicated staff have been assisting thousands of happy customers house their items in our state-of-the-art facilities. From long- and short-term household storage services, to business solutions, to warehousing and distribution, Alex Moving & Storage has your needs covered. Equipped with anti-fire and theft protection, you can rest easy knowing that your valuables are left in the very best hands. Find yourself looking for an item lost in transit or are you in need of residential storage solutions at our Orange County household storage facility? Give us a call and speak with one of our friendly representatives today to find out more! Don’t forget to fill out our quick and convenient online form for a free, no-obligation quote.